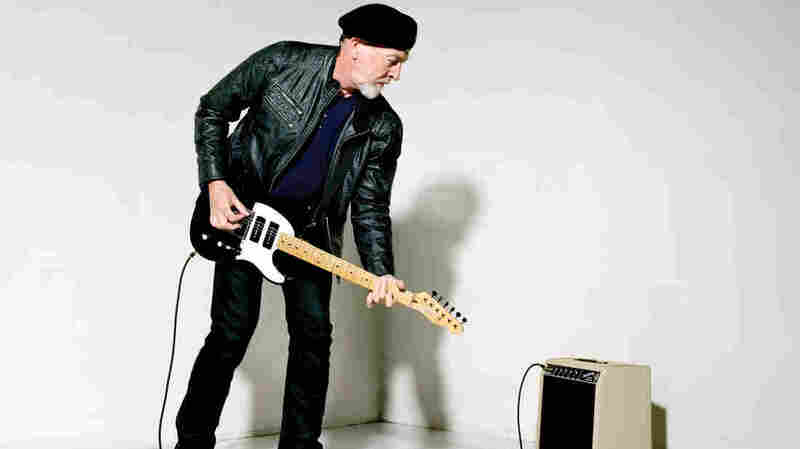 First Listen: Richard Thompson, 'Electric' The title of Thompson's 21st solo album promises a change of pace while doubling as a mission statement. And, sure enough, the record finds the great guitarist, singer and songwriter plugging in and indulging his rock 'n' roll side, complete with occasional solos that qualify as workouts. Richard Thompson's Electric comes out Feb. 5. The title of Richard Thompson's 21st solo album, Electric, promises a change of pace while doubling as a mission statement. And, sure enough, the record finds the great guitarist, singer and songwriter plugging in and indulging his rock 'n' roll side, complete with occasional solos that qualify as workouts. On an acoustic guitar, Thompson often simulates the sound of several players plucking and strumming at once. But feed his guitars through amplifiers, as he does right up until Electric's final two songs, and he's a folksinger who doesn't sound out of place shredding like an arena-rock star. Still, to focus too heavily on Thompson's instrumentation — easy to do, given his incredible proficiency — is to give short shrift to these songs' power, poignancy and point of view. As a lyricist, Thompson can be cranky, heartfelt, acerbic and fiercely political at the same time, and that holds true whether he's singing the praises of enmity ("My Enemy") or churning out workingman's laments like "Stuck on the Treadmill." Produced by another guitarist's-guitarist, Buddy Miller — who describes the process of recording with Thompson as "a two-week guitar lesson" — Electric (out Feb. 5) has an unmistakable bite to it; even when he's singing about romance, the songs have titles like "Good Things Happen to Bad People." But on Electric, Thompson's misanthropy always registers as vitality. Forty-five years into a versatile and incomparable career that's included classic albums with Fairport Convention and his ex-wife Linda Thompson, he still matters on his own, and still writes songs that sting and storm.